Mike Birbiglia’s voice still cracks on occasion, and his delivery — long uhhhhs, whip cracks of sarcasm, sentences that inflect higher at the end, rendering even facts an air of uncertainty — shares the same syncopation of a teenager. Sight unseen — which is how a lot of people first came to Birbiglia, via his monologues on This American Life or his comedy albums — he could pass for an adolescent, which makes sense, since so much of this comedy lies in his resistance to the adult world. 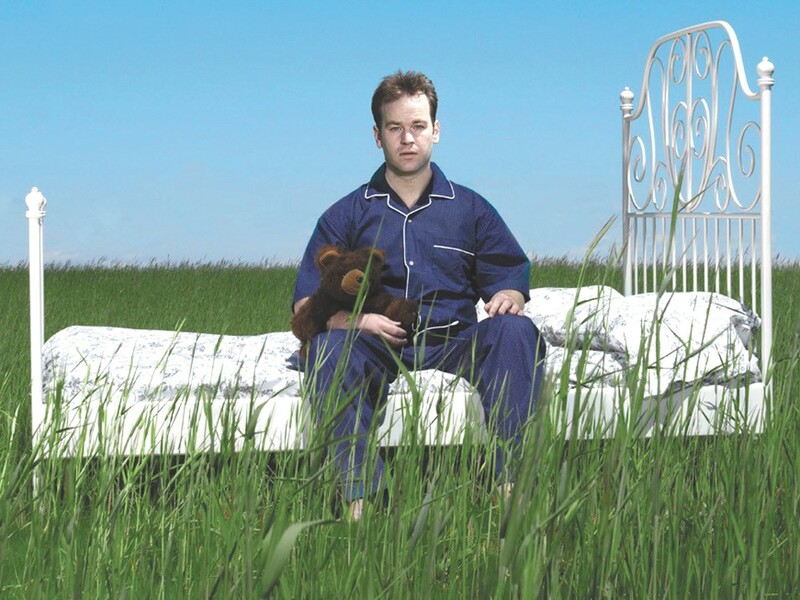 In his directorial debut, Birbiglia has re-engineered (along with his co-writers Seth Barrish and This American Life’s Ira Glass) the autobiographical material that formed the basis of his identically titled one-man show and subsequent book. Birbiglia plays Matt Pandamiglio, a struggling comic who begins to suffer sleepwalking episodes shortly after he moves in with his longtime girlfriend, Abby (Ambrose). As the pressure mounts from Abby and his family to move toward marriage, Matt retreats to a hectic road schedule, doing stand-up in empty bars and hosting air-karaoke contests at college campuses. The film is on its surest, sharpest footing here, detailing Matt’s hard-fought refinement of his voice and the camaraderie he finds in the comedy community. Sleepwalk With Me is never anything less than awfully likable. But I so wanted it to be more.